Crepe myrtles are lovely trees that take center stage when they are in full bloom. But what causes no leaves on crepe myrtle trees? Find out about why crepe myrtles may be late leafing out or fail to leaf out at all in this article. Crepe myrtles are one of the last plants to leaf out in spring. In fact, many gardeners worry that there is something seriously wrong when the only problem is that the tree’s time just hasn’t arrived. The time of year varies with the climate. If you don’t see leaves by mid spring, check the branches for tiny leaf buds. If the tree has healthy buds, you’ll soon have leaves. 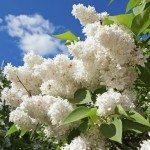 Is a crepe myrtle tree appropriate for your climate zone? Crepe myrtles are suitable for temperatures in U.S. Department of Agriculture plant hardiness zones 6 or 7 through 9, depending on the cultivar. When winter temperatures are too cold or when you have a freeze too late in the year, leaf buds can suffer injury. In areas that have no freezing temperatures in winter, the tree doesn’t receive the expected signal that winter has come and gone. Crepe myrtles need freezing temperatures followed by warm weather so that it will know when to break dormancy. If your crepe myrtle is not leafing out, check the buds. Remove a leaf bud and cut it in half. If it is green on the outside but brown on the inside, it has suffered cold damage from late freezes. Buds that are brown all the way through have been dead a long time. This indicates a chronic problem that may have affected the tree for years. Scrape off some of the bark near the dead buds. If the wood under the bark is green, the branch is still alive. If you find dead wood, the best treatment is to cut the branch back to the point where the wood is healthy. Always make cuts just above a bud or side branch. Crepe myrtles make lovely street trees, so we often plant them in the space between the road and the sidewalk. Unfortunately, trees planted in this location suffer a lot of stress that can inhibit crepe myrtle leaf growth. Stress factors for crepe myrtles used as street trees include heat, drought, soil compaction and environmental pollution such as salt spray and car exhaust. Frequent watering can reduce the amount of stress on the tree. You should also remove root suckers and weeds in the immediate area to prevent competition for nutrients and moisture. If only a few branches are failing to leaf out, the problem is likely a disease. Diseases that cause leaf bud failure in crepe myrtles are rare, but they are sometimes affected by verticillium wilt. Treatment for verticillium wilt is to cut back the branches to a point where the wood is healthy. Always cut just above a bud or side branch. If most of the branch is affected, remove the entire branch without leaving a stub. Many people feel that pruning tools should be cleaned with a household disinfectant or bleach between cuts when dealing with diseases; however, recent studies show that unless the plant has oozing wounds, disinfecting is not necessary, and disinfectants are likely to damage your tools. Read more articles about Crepe Myrtle.